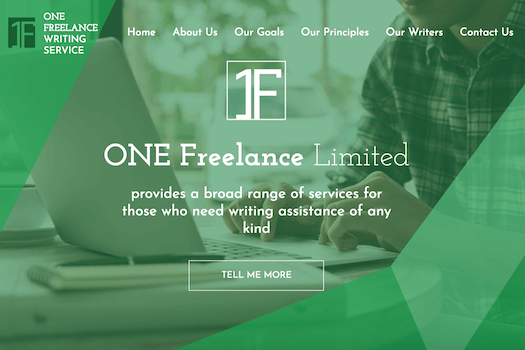 ONE Freelance Limited (also known as Brownie Freelance Limited, or Uvo Corp) is a company which provides a full range of services for those who need writing assistance of any kind. They claim to be a London-based but according to https://beta.companieshouse.gov.uk/company/06547172/officers it's a Ukrainian business. They are known for the creation of a large number of essay sites with the same design. Consider reading Bid4Papers review, review of EssayShark and feedback about CustomWritings to find out in what way they work. To understand company's marketing strategy as well as to discover what other essay writing services they own, read a detailed ONE Freelance Limited case.